Sometimes a band follows you. I've always considered myself a Rush fan. Since I was 10 years old, I've owned Moving Pictures (1981) on LP, cassette, CD and MP3. I've intermittently owned the band's storied concept album, 2112 (1976), in various formats—but I can't find my CD right now. I once owned copies of Signals (1982), Grace Under Pressure (1984), Roll the Bones (1991) and Test for Echo (1996)—but I've also lost them, and I've never sought replacements. I just found Snakes and Arrows (2007) on my shelves, but it's still bound in cellophane. The seasoned Rush fan will say, "What?! No Permanent Waves? What about the legendary live album Exit Stage Left?" I understand their importance in the Rush canon. I simply never acquired them. But I've heard them. It was unavoidable. 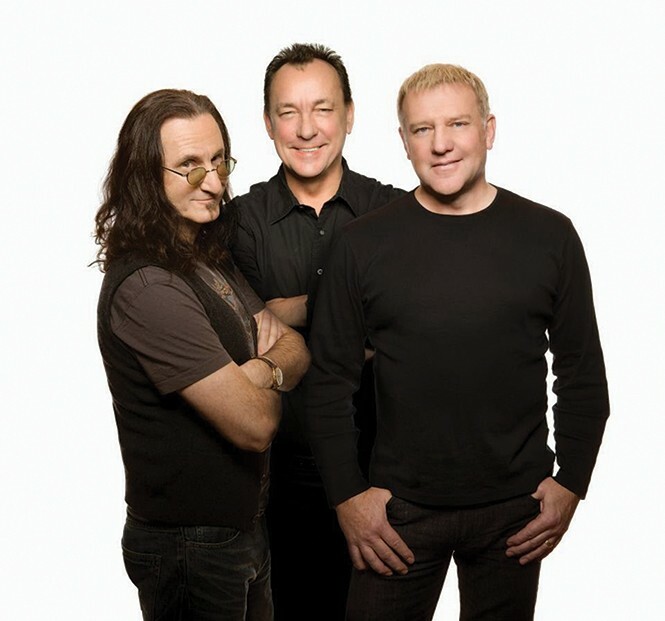 Because, in spite of the Canadian prog trio's perpetual cult status, nearly everyone has a friend or relative with at least one Rush album. Usually, it's Moving Pictures. In the 2010 documentary Rush: Beyond the Lighted Stage, drummer Neil Peart says Moving Pictures is the moment "when we became us ... Rush was born." So the album, which is being reissued on heavy vinyl this month, is a fine point of entry. After all, it birthed the radio staples "Limelight," "Red Barchetta" and "Tom Sawyer." The latter is the first Rush song I ever heard. I was walking to school in fourth grade. Every morning, I'd meet my friends on the corner of 800 East and 2700 South. At least one of us would have a transistor radio tuned to Rock 103.5. One day, this kid named Blair—usually preoccupied with Queen—sang: "A modern day warrior/ Mean, mean stride/ Today's Tom Sawyer/ Mean, mean pride." Everyone knew the song but me, but I was initiated seconds later, when the song's instantly identifiable keyboard intro started. My friends whooped it up. At that age, you're not supposed to be able to grasp abstract concepts, but we were close enough to intuit the song's themes of individuality and rebellion. Obviously, the song is inspired by Mark Twain's classic novel, which speaks to any young boy. As Peart once explained, the song is about "reconciling the boy and man in myself, and the difference between what people are and what others perceive them to be." What a great time to hear that song, and carry it with you through puberty into adolescence, and then adulthood! I recall hearing "The Spirit of Radio" for the first time on a rare lonely last leg of that walk to school. Singer-bassist Geddy Lee sang of music making my "morning mood" and of "undemanding contact in your happy solitude." The chorus played as I passed a 6-foot high wooden fence that caused the morning sun to strobe. "Invisible airwaves crackle with life/ bright antennae bristle with the energy." Suddenly, the lonely day ahead didn't look so bad. It only occurred to me the other day how Rush continued to follow me throughout my life. This, even as I gave more of my attention to Kiss. Dio. The Fat Boys. Prince. The Replacements. I didn't buy another Rush album until Grace Under Pressure. I was in junior high. Rush was in their keyboard-heavy, A Flock of Seagulls Canadian Geese phase. It was 1984; we were transitioning from Orwellian paranoia into Cold War terror. In the video for "Distant Early Warning," a kid rides a bomb, Dr. Strangelove-style, toward impact. The chorus is urgent: "The world weighs on my shoulders/ but what am I to do?" It wasn't soothing, but it helped to know Rush was as worried as I was. Dubbing Grace for a classmate yielded reciprocity: a copy of Signals, where I first heard "Subdivisions." My group of friends splintered into cliques at this new school, and I wasn't sure where I fit. Once more, Rush understood: "Nowhere is the dreamer or the misfit so alone," Lee sang. "Be cool or be cast out." Still, while others went fanatically deep, I was only sporadically into Rush. I don't know why. I just know that they kept popping into my life. At my first guitar lesson, my instructor handed me a transcription of Rush's "Best I Can"—a simple song that belied their extraordinary musicianship. (I asked to learn "Tom Sawyer." He kinda laughed and said, "Someday.") I befriended my assistant manager at Arctic Circle, who gave many exuberant, yet hazy, late-night sermons about Rush. My first Rush concert—the Roll the Bones tour—turned into an unintended first date with my first real girlfriend. Eleven years after that show, I got to interview guitarist Alex Lifeson for Guitar World. I didn't expect to tremble and stutter when he came on the line, but I did. Not for long, though, because his calm, friendly demeanor put me at ease. It was a short Q&A, so I didn't take the time to tell him any of these stories. Also, I figured he'd had his fill. They say you can have too much of a good thing. If so, I'm happy that this on-again, off-again relationship persists.